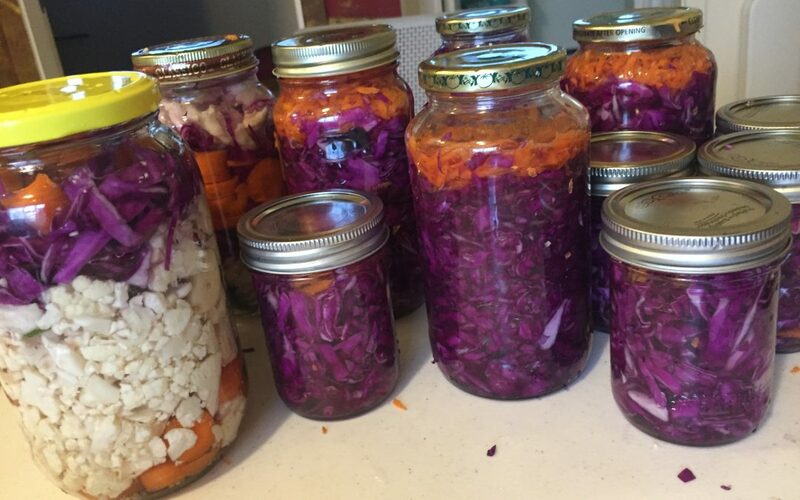 Join Vines at the fieldhouse to learn the delicious art of lacto-fermentation! Lacto-fermentation is a tasty way of working with naturally present bacteria to add flavor to food and make it last longer. This traditional preservation method is used to make all time favorites like pickled vegetables, sauerkraut and kimchi. We will be learning how the friendly bacteria lactobacillus can be recruited to stop harmful bacteria from forming while munching away at the sugars in food to add a distinctive tangy taste. Preparing food this way is faster and easier that you think and it only takes 5 to 10 days of storage in a cool dark location before fermenting goodies are ready to eat. At this workshop we will be focusing on an easy sauerkraut recipe and a simple way for pickling dense vegetables like beets, carrots and cauliflower. Vines will be providing jars and all necessary items. Join us for the workshop and take home a jar of fermenting deliciousness of your own creation! Pour 4 cups of tap water into a clean uncovered container. Set aside for at least 10 hours.